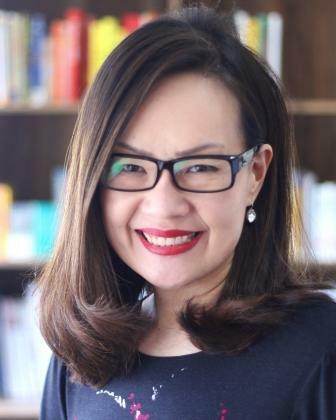 Entrepreneurial Leaders Organization - Rachel Ong - "Honouring God in the Marketplace: My Spiritual & Entrepreneurial Journey"
Description: Rachel will share the journey of how the Lord led her to start two organizations. First, there is “Trybe,” a youth development agency started in 2001, which has now grown to three entities: Singapore Boys Prison, Community Rehab Centre (for first-time drug offenders) and Trybe Aftercare. The organization is run by a Chief Executive and three directors, each overseeing one entity together with a team of about 80 staff. Second, in 2007, Rachel started ROHEI, which today she is very grateful to God for a team of 70 full-time consultants. ROHEI has received multiple awards and recognition, one which is a trust index of 98%, the highest across the globe in an organization of its size. how to use the practices of prayer, word and disciplines of being a disciple of Jesus in the marketplace. To not only worship God in church on Sundays, but come Monday, to worship God at our workplace. Honouring God in the treatment of finance, staff, stakeholders, clients, regulators and partners. How tithing profits since the start has led to many blessings and even miracles. Witnessing people come to know Jesus in daily encounters with clients and partners. How God heals in the marketplace, both physically and emotionally. Rachel is the Chief Executive of ROHEI, a consultancy she founded in 2007. ROHEI is a learning and consulting partner serving organizations to build a culture of trust where people and results are honored, by first developing trusted and relationally competent leaders. At present, ROHEI Singapore sees to a team of 60 full-time Consultants, an office in Shanghai as well as ROHEI Foundation based out of Manila. ROHEI has been recognized among the Top 5 Best Workplaces in Asia 2018, Top 3 Best Workplaces in Singapore in 2017, Top 20 Best Workplaces in Asia in 2016, Top 5 Great Place to Work in Singapore 2015, by Great Place to Work Institute. ROHEI was also named the Best Corporate Training Provider in 2015 and 2017 by HRM Asia. Rachel is the Chairman of Trybe, a youth development entity that has been accorded Institute of Public Character (IPC) status in Singapore. She founded Trybe in 2001. Trybe has since partnered over 150 institutions in Singapore and reached over 200,000 youths in across Thailand. Trybe has also been appointed by the Singapore government to manage the Singapore Boys Hostel in 2011 as well as to run the Community Rehabilitation Centre in 2014. Today Trybe sees to a team of 80 full-time staff housed in 3 different entities and a volunteer pool of 400. Rachel serves as the Chairman of the Board of the Every Nation Church. She holds an MBA with INSEAD and Tsinghua University. Peter Hall - "Leading in Challenging Times: A Christian Economist’s Perspective on 2018 & Beyond"
Rachel Ong - "Honouring God in the Marketplace: My Spiritual & Entrepreneurial Journey"
Rob Wildeboer - Q & A on “My Faith & Entrepreneurial Journey"
Evening Keynote Speaker: Dr. John Izzo on "The Purpose Revolution"